“Let’s Pardon each others differences. We will work together for overall development. 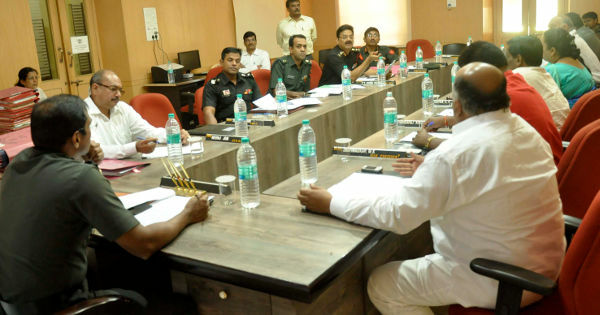 If you want any co-operation from my side I will always be there to help”, said Suresh Angadi at the Cantonment board meeting held on Saturday. MLIRC Commandant Brig. Kurup presided over the meeting along with CEO Neeraj Jain, Elected members and MLA Feroz Sait. At the meeting the establishment of a school for the mentally challenged was discussed upon. The board tenure ends on June 5 and a 3 member committee will take over.